We all know the advantages of eating what's in season (heightened flavor, increased nutrient count, just to name a couple reasons). And I found a very helpful tool, the SEASONAL INGREDIENT MAP, on Epicurious, that makes knowing what's in season in your locality really easy. To see which foods are in season in your area, go to www.epicurious.com/archive/seasonalcooking/farmtotable/seasonalingredientmap and click on your state. IDEA 2: BRUSH IT WITH OLIVE OIL. 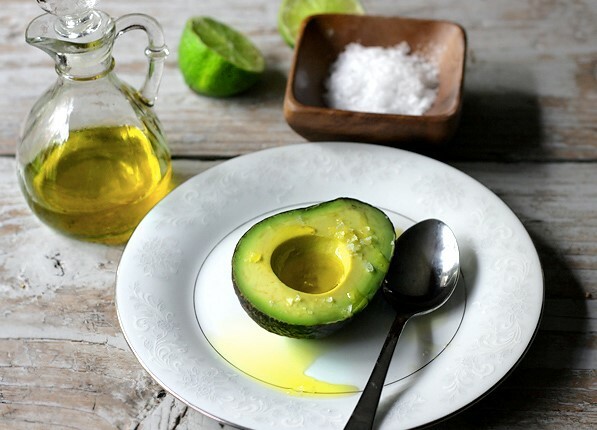 Right before you seal the un-eaten avocado half in an airtight container, use a pastry brush (or paper towel, in a pinch) to slather the green surface with olive oil. Then pop it in the fridge. Next, here's Pure Wow's suggestion on the fastest way to ripen a rock-hard avocado (almost overnight). Who hasn't wanted some avocado before it was ready? 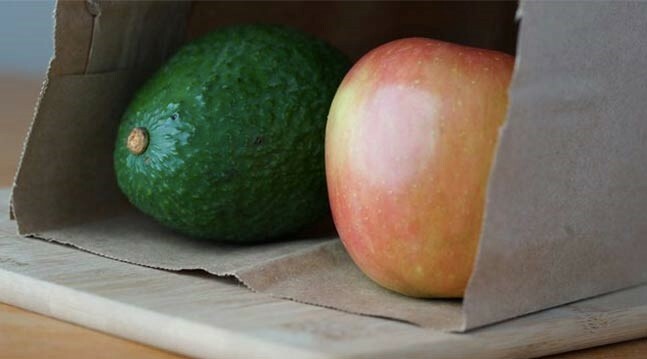 What you need: An apple, a brown paper bag and that not-quite-ready avocado. What you do: Place the apple and the avocado together in the bag, then fold over the opening as best you can to seal it off. Let the fruits sit together overnight and--voilà! You'll have a ripe avocado, ready for your enjoyment the next day. Why this works: Apples give off ethylene, a naturally occurring gas required for the ripening process. 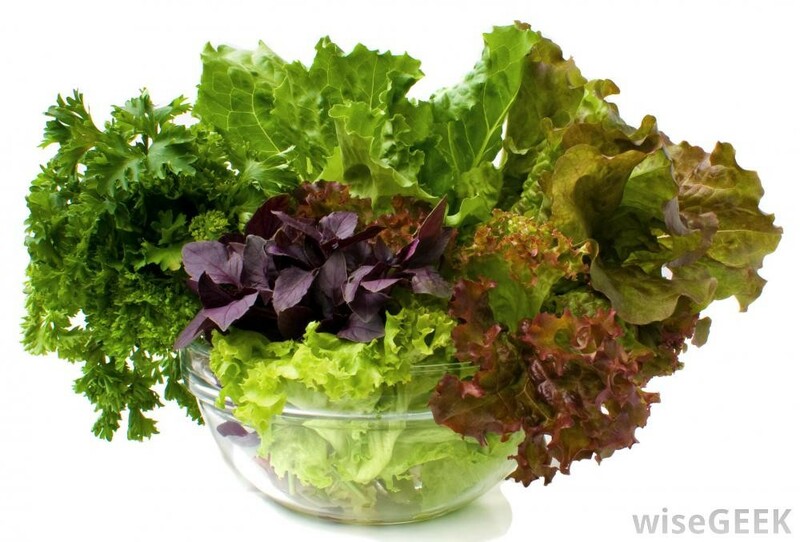 And does this work with other fruits and veggies? Yup! Bananas, corn, tomatoes. Sometimes nature simply needs a little help. You just need to know which foods to pare together. 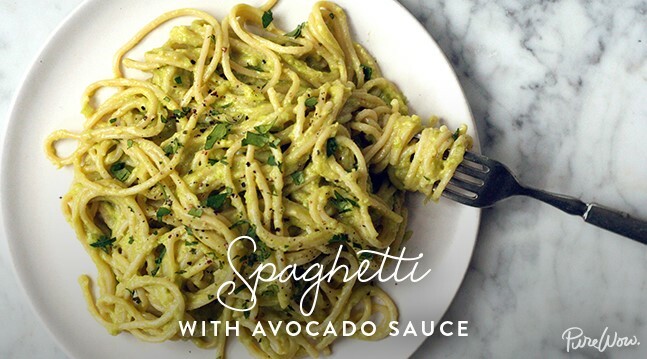 And I close with a recipe for pasta sauce starring avocado. Did you know avocado is the new pesto? Me neither. But my friends in California who have avocado trees in their gardens are thrilled to death with this delicious recipe! Bring a large pot of salted water to a boil. Add the spaghetti and cook until al dente, 6 to 8 minutes. 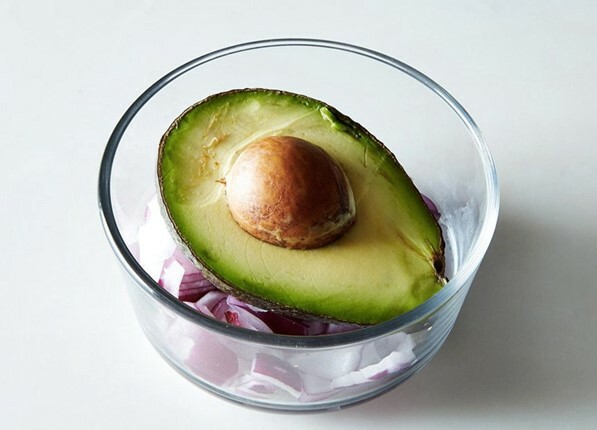 While the pasta cooks, make the sauce: In the bowl of a food processor, pulse the avocados, garlic, scallions, lemon juice and olive oil until smooth. When the pasta is tender, reserve ½ cup of the cooking water, then drain the pasta. Add the reserved water to the avocado mixture and process until smooth.